My Mum and I had our hair cut this week by the mobile hairdresser. Lucas said Oh Oh to the hair falling on the floor and rushed to the cupboard to get the dustpan and brush out. 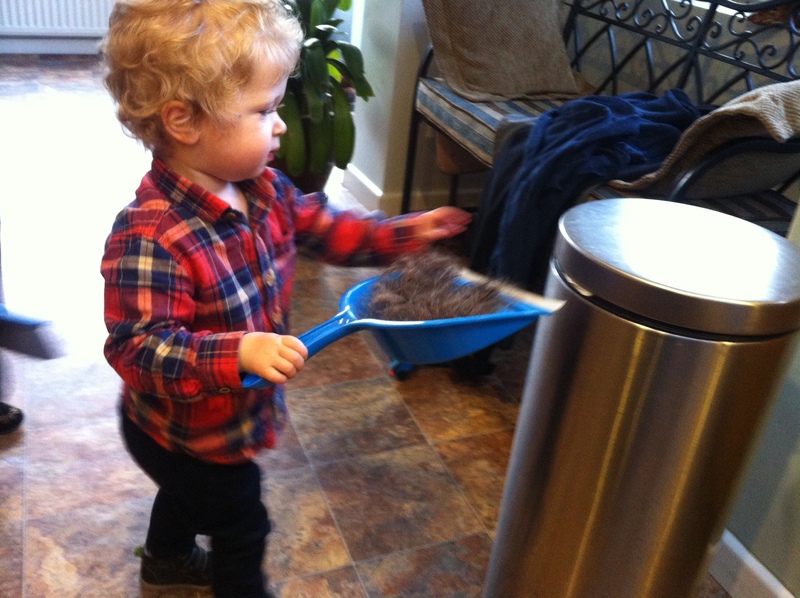 A child that sweeps and helps clean up? Send him over!